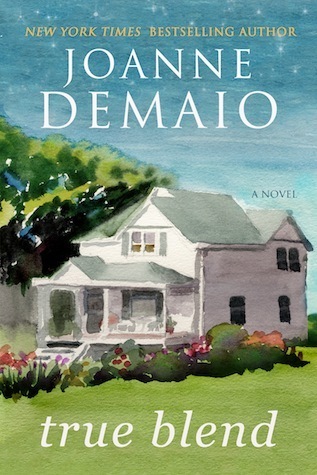 Synopsis: New York Times bestselling author Joanne DeMaio returns to small-town New England in this compelling love story where truth is veiled by secrets. George Carbone often spends easy time with his brother. Whether at a ballgame or taking a day trip, it’s how they connect. Until one sunny day when the trip is to a bank parking lot and George is drawn into a crime he never sees coming. And into a stricken mother’s life he cannot ignore. In a summer that simmers with the unsolved crime, George is haunted by a bankroll hidden behind kitchen tiles, by a brother who dragged him into this, and by a father who instilled in him a conscience. A conscience challenged when a young child and beautiful woman crossed paths with him and unexpectedly took hold of his heart. My take: True Blend is a bit of a departure from what I’ve come to expect from Joanne DeMaio. Yes, the setting is the small New England town I’d like to visit one day and the characters are likable and believable as usual. What’s different in this novel is the drama that occurs in the opening pages that just wouldn’t let go of me! Amy, a widow of less than a year, and her two-year-old daughter are running errands when their life suddenly takes a turn in a different direction. Life will never be the same. George, the man who runs the butcher shop in town, thinks he’s heading to the casino for the day with his brother. That brother has different plans and won’t take no for an answer. George spends the following weeks doing everything he can to make Amy and Grace feel safe again. Amy’s flashbacks and Grace’s inability to speak seem insurmountable but George does his best to help them. What he didn’t expect was that his feelings for Amy would grow to love. Will she feel the same? And what will happen if she ever finds out the truth about George. What will become of George’s relationship with his only brother? The pace of the novel is good and kept me turning the pages. I didn’t know how things would end until DeMaio skillfully pulled it all together in the final chapters. I really liked True Blend and recommend it to fans of the author and contemporary fiction. 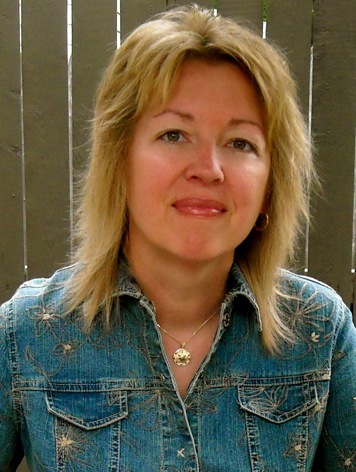 Joanne DeMaio is a New York Times and USA Today bestselling author of contemporary fiction. She enjoys writing about friendship, family, love and choices, while setting her stories in New England towns or by the sea. Her fourth novel True Blend was recently published. Currently at work on her next book, Joanne resides with her family in Connecticut. To learn more about the author, visit Joannedemaio.com. She also enjoys hearing from readers on her Facebook Page. This sounds really good. I’ll have to add it to my list. I have never read any books by this author, but this one looks like a good place to start. Thanks for brining it to my attention. Kathleen, you could start here. I also think you’d enjoy her other books! Terrific review, Mary! Just a few days ago I put this book on my list and hope to read it soon. Thanks, Beth. I’ve enjoyed all of Joanne’s books! My first thoughts? Oh my goodness, I’d love to live in a house like this. As a novel that steals your heart this sounds like a book I’d really enjoy. Great review, thanks for the recommendation. Looks good and I love the house on the cover.